Last night my local park held a Bat Walk. We all assembled at 7pm, just as the park closed and dusk settled in. Isn’t the light odd in the dusk, as though it’s had a bloom put on it like the bloom on a purple grape? All the colours slowly leach away until everything is grey and black. A nice time of day. Goodness, I came over all poetic there for a moment! Back to the bats. 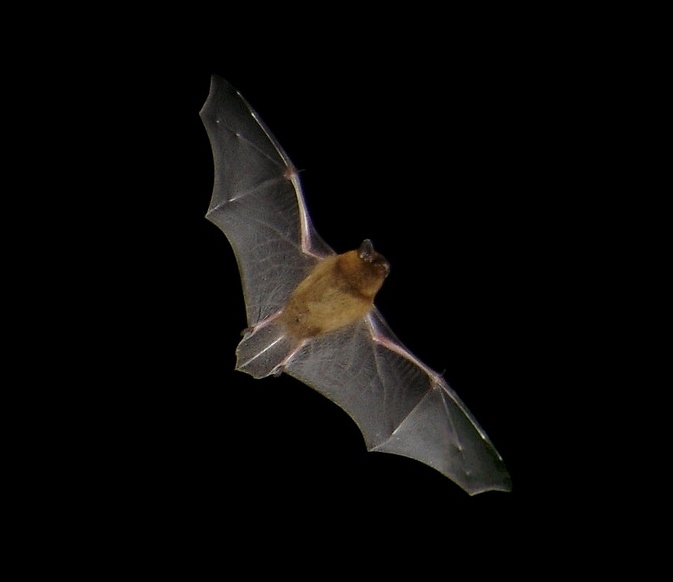 We spent the next hour walking around between the trees, about thirty or so adults and kids, pointing bat detectors around and getting excited when the detectors started churning out flub-a-dub, flub-a-dub noises, because that meant it was one of these delightful little guys. It was a lovely evening. I had a little trouble trying to keep my inner geek under control when I was asked if I’d like to have a go with the bat detector. I most emphatically did not squeal and anyone who says I did is lying for some nefarious reason of their own. Besides, who wouldn’t be a little delighted when they have bats flitting above them, black against a sky that was a lemony green on the horizon and dark blue above our heads? The flub-a-dub noise means they were pipistrelle bats. They’re our commonest species, I believe and they have the most amusing name. 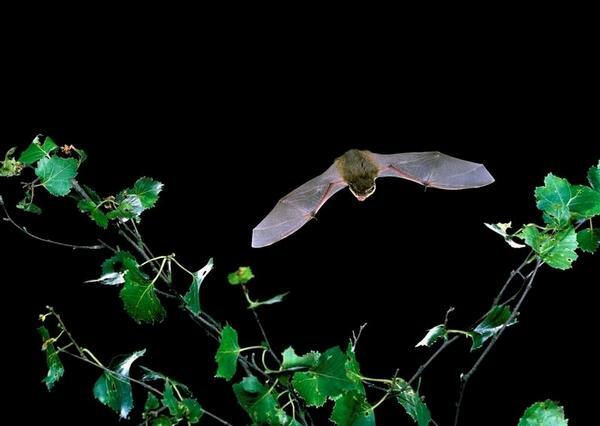 There are lots of species of pipistrelle bats, but ours has the Latin name Pipistrellus pipistrellus. Got that? 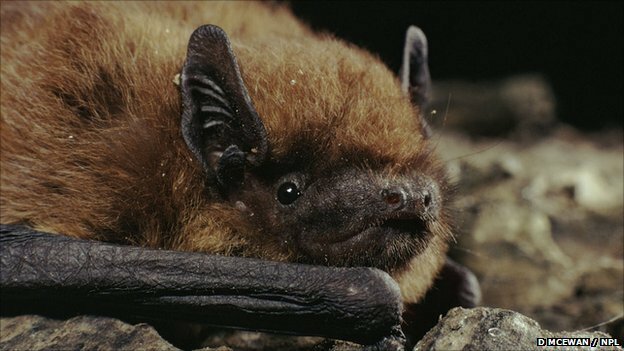 common pipistrelle bat, aka pipistrellus pipistrellus. common bat bat, aka bat bat. Way to go to show redundancy in the naming department. Biologists should not be let loose to name anything. Especially something as sweet as this. common flittermouse flittermouse, aka flittermouse flittermouse. We left the park at 8, by which time it was full night. It brought home to me that the nights are drawing in and that we’re on the down slope towards winter. My favourite time of year is upon us. I walk Molly in the park every morning. Today it was cool enough to wear a sweater, and the sun is appreciably lower in the sky. The trees are starting to turn and already the greensward (another lovely old world we don’t use anymore and will die on us some day) underneath each tree is red and orange with scattered leaves. The wind blew some around us as we walked – well, as I walked and Molly pelted full-tilt backwards and forwards trying to catch squirrels. I wouldn’t say that it was raining leaves, because that would be to give the leaf fall more power and force than it merits. It was a sort of gentle drizzle, instead, of oak, hornbeam, lime and chestnut leaves. The rowans are heavy with scarlet berries and the whole park will be the rich colours of old spices in a another two or three weeks. The year’s wearing away fast. I’m not melancholy about it, but it’s making me think about focus and clarity, direction and a sort of sharpness. I have a lot I want to achieve by the end of this year. I have the revision of Heart Scarab to finish by the end of October, and the steampunk coffee shop novel (tentatively called The Gilded Scarab, btw) to kick into play over NaNoWriMo in November and hopefully finish by the end of the year so I can get on to the revision of the third Shield book in the New Year. And yet I spend too much time on things like tiaras and Pinterest, on not being focused and clear, and some days I am anything but sharp. Time’s getting on, and I have to stop messing around and do stuff instead of just talking about it. 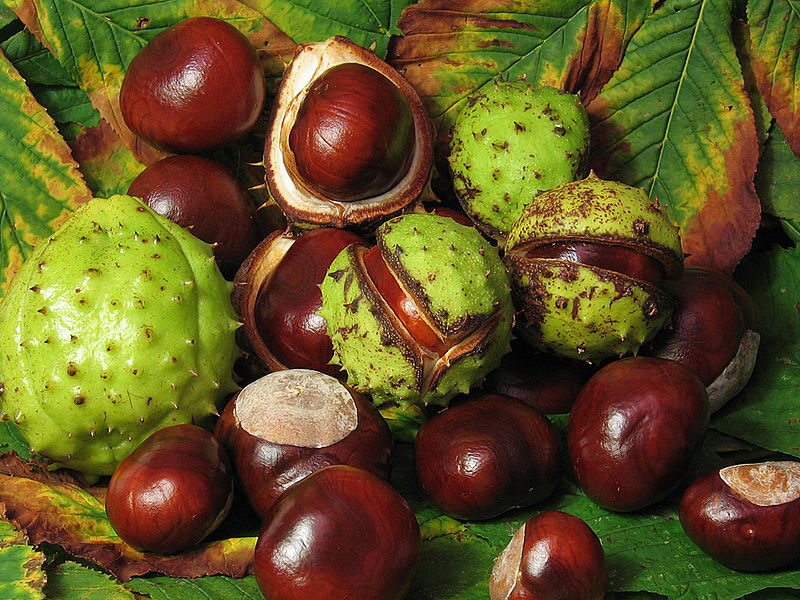 Because our park is rich in horse chestnuts, I picked up conkers to bring home and fill a bowl or two to stand around the house. They remind me that tempus is fugiting as fast as it can manage it. And I’d better start running to catch up.